Toy pistol is made of tin with lithograph embellishments. Sparks are created when trigger is pulled. Hero in Japan made it between 1955 and 1970. 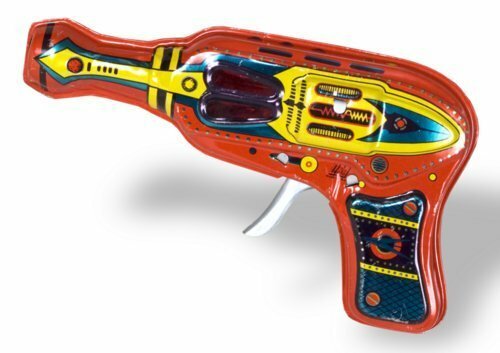 Japan made many toy ray guns for the American market. The U.S. "Space Race" to explore the solar system in the late 1950's to early 1970's generated huge public interest and a large market for space related products.